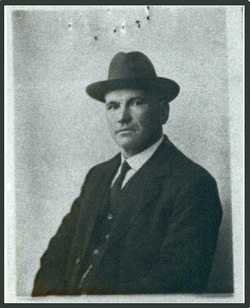 The comrades of the International Republican Socialist Network join with the members of the Scottish Republican Socialist Movement in commemorating the contribution of John MacLean to the struggle for a Scottish workers’ republic. With another Scottish-born Marxist, James Connolly, MacLean is among the most important figures in the history of the republican socialist tendency within the international socialist movement, which recognizes that, in the era of imperialism, genuine national liberation can only be achieved through the creation of a socialist republic. This not only remains true today, but in fact has become ever more correct in the nine decades that have elapsed since MacLean’s death. It is correct because the capitalist classes of all nations are inherently dependent on the interests of the ruling class in the metropoles of the world to such an extent that they are unable to assert the distinct interests of their own nation, without undermining the interests of their class; but it is also correct because a nation is not a mere abstraction, but the living, flesh and blood, people resident within given borders and, in any developed capitalist nation, the majority of those people will be members of the working class. Insofar as that majority will continue to suffer the class oppression that is inevitable under capitalism, the actual liberation of a nation can only be seen as having been achieved when the majority of its people are freed from such tyranny. The logic of MacLean remains forceful today, that the more wide-spread class consciousness and militancy within that Scottish working class, compared to that of England, creates a circumstance wherein independence for Scotland provides the best way forward for Scottish workers to obtain their liberation as a class. But in accomplishing this, Scottish workers will also benefit their sisters and brothers south of the border, in that anything that serves to weaken the British imperialist state provides opportunities for the workers of all the nations on the isle of Britain to challenge the ruling class. As the sentiment in support of separation from the ‘ancien regime’ of the ‘United Kingdom’ has grown within the Scottish nation, until it has become the dominant political view today, it has become all the more essential that the message of republican socialism reaches the working people of Scotland. Independence will mean little to Scottish working people, if the capitalists of London continue to control the nation’s destiny through their ownership of the key components of the nation’s wealth. Far from ceasing their revolutionary drive to celebrate any success towards nominal Scottish independence, working women and men in Scotland must seize upon the opportunities provided to press forward to gain the liberation of the Scottish working class, and through this—and only through this—to achieve meaningful independence for the Scottish nation.